The automotive coating industry is far larger than which color to paint your car. Every surface in a vehicle from the bodywork and under body to the exhaust and even the glass surfaces needs a specialized coating to last and perform its best. 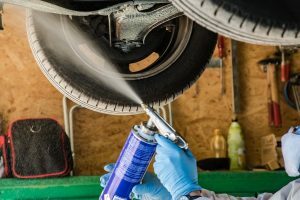 The automotive coatings market can be roughly divided into OEM automotive coatings and aftermarket and refinish coatings – basically those applied at manufacture, and those applied after. The umbrella term “automotive coatings” covers all the coating varieties within those categories. When stripped down to bare bones, a vehicle is a collection of different substrates from different materials, each with their own needs and demands in terms of coating. The bodywork alone receives five different coatings before it is ready for a shop. Worldwide the top OEM automotive coatings manufacturers are PPG, BASF, and Axalta. Here we will give a brief overview of the coating processes that go into making a vehicle. Phosphating: This first step or pretreatment involves applying phosphoric acid to the substrate in order to cause a reaction which makes the substrate easier to adhere to. It also gives a degree of corrosion protection to the substrate. Cathodic electrocoating: The combination of the e-coat and the phosphating is the part of the coating system that gives the substrate its corrosion resistance. In this step the substrate is immersed into a paint in an aqueous suspension (dispersion), usually an epoxy-polyurethane. When an electrical current is applied the paint adheres to the substrate and forms a consistent layer of corrosion protection, even in difficult-to-reach cavities. Primer coat: This coat evens out any irregularities of the electrocoat and is particularly important for rock chip resistance to protect the underlying layers and the metal from damage and resulting corrosion. Primers come in solvent-based, water-based, and powder forms, and are most commonly polyurethane-modified polyesters and epoxy resins. Base coat: The base coat and clear coat combined make up the top coat layers. The top coats give color and durability to the coating system. The base coat gives the main color to the vehicle, which can come in solid color, metallic, pearlescent, matt, and other special effect paints. Clear coat: The clear coat protects the top coat and pigments from the environment, scratches, chemical attack, UV radiation. They seal the coating system and provide the first line of defence as well as the smooth, glossy final appearance. Clear coats come as 1K, 2K, or powder, though they are predominantly liquid. Common coating types for a clear coat are acrylics or polyurethanes. Applying corrosion resistant underbody coatings is usually done by spray. Protect from weather conditions and environment – The coating prevents water ingress (whether standing water or rain), as well as exposure to snow, baking heat, salt from winter anti freeze measures, and salt from coastal weather and roads. Extend service life – Protecting a significant section of a vehicle from damage and rust extends its life while maintaining its value. Protect from rock chip damage – By forming a tough, flexible, rubbery protective film, underbody coatings provide a barrier between the substrate and rock chips, gravel, road debris, sand, and other objects which may damage it. Improve driving comfort – Reduces sound and vibration from the road and makes the driving experience more pleasant. 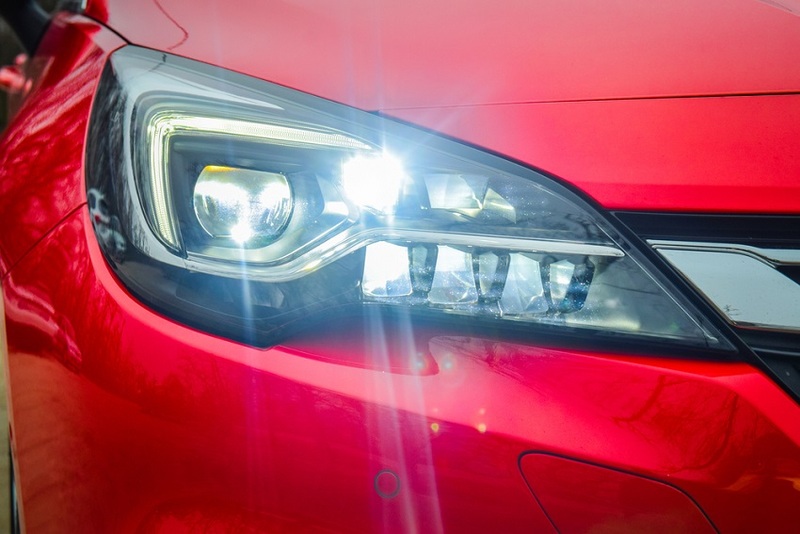 Wheel, front grill, drive shaft, brake parts, suspension springs, interior and exterior trim, door handles, climate control bezels, speedometer housings – the list of automotive parts that need coatings beyond the bodywork is seemingly endless. A popular option for under-the-hood car parts is extremely durable powder coating, while internal coatings are often polyurethanes. These provide a soft-feel coating for those surfaces most often touched, in one and two components and a range of colors and effects. Commercial vehicles are those intended for multi-passenger or goods transport, such as vans, coaches, buses, trucks, and semis. They spend a lot of time on the road, and paint needs to be able to endure this. Durability is key, as well as corrosion, UV, and chemical resistance. Fleet owners look at the conditions their assets will be exposed to and the intended service life of the asset in order to determine which coatings they need. A range of colors and the ability to easily repair damage are also highly important for commercial vehicle coatings to reduce vehicle off road time and inconvenience. The aftermarket automotive coating industry covers custom finishes, collision repair, and commercial fleet finishes among other coatings applied to a vehicle once it has left the shop. The top 5 automotive refinish coatings vendors are Axalta, AkzoNobel, BASF, PPG, and Sherwin-Williams. Ceramic coating – This is a type of paint protection coating which uses nanotechnology to protect a vehicle’s paintwork from damage from UV radiation, as well as maintaining its gloss and repelling dirt and water. It is an alternative to regular waxing and provides up to several years of protection if properly maintained. Collision repair paints and refinishes – Accidents happen. Whether through a collision or scratches to the bodywork, paint can be damaged. Or maybe you want to give your car a spruce. Car repair paints and refinishes represent a large sector of the industry. They differ from OEM paints because their application has different requirements, including a lower heat curing and longer drying times. If you need a commercial fleet fitted out with logos or livery, you will likely use a refinisher. Powder coating – A key refinishing market is the powder coating market. Everything from wheels and valve covers to shock absorbers and bumpers can be powder coated. For those who want a unique and hard-working paint, powder coating is the popular choice. Automotive coatings is a big industry, and many manufacturers and companies operate across the US. The top companies in the industry are AkzoNobel, Axalta, BASF, PPG, and Sherwin-Williams, operating through their automotive brands like Sikkens and Deltron. These companies form partnerships with auto manufacturers for OEM application, or provide refinish paints to applicators. If you would like more information, or if you have a project for which you need automotive coating, get in touch! Our experts are here to help. Simply take advantage of our 100% free quote service and ask our team to do what we do best – connect coating needs with coating solutions. We, in cooperation with our coating partners, will strive to find the right coating for your project.